A country fast becoming known for its culinary credentials is Vietnam. 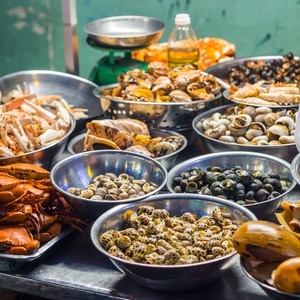 Situated on the glistening coast of the South China Sea, the Vietnamese have been fishing these waters for centuries and seafood has become a major part of their national cuisine. 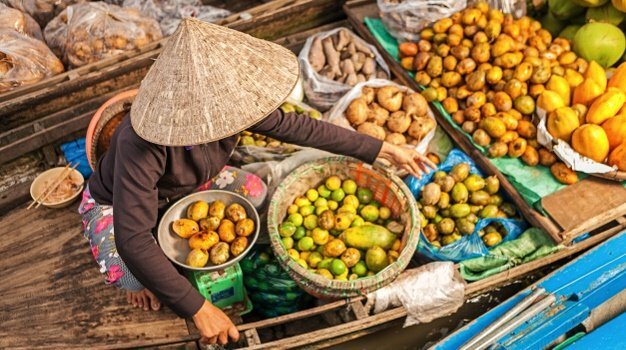 Gousto has mapped out the ultimate foodie road trip through Vietnam revealing the best eateries you can enjoy while driving (or for the more daring riding a scooter or motorcycle) along the stunning coastal roads, experiencing tender flavours and breathtaking views. Hanoi is the starting point of your trip and is home to a number of adventurous chefs like the one at La Verticale who experiments with Vietnamese foods, infusing them with western influences. They have a number of stands out dishes but one you must try is the duck terrine and rillettes with Hanoi 5 spices. Once you’ve had your fill in Hanoi head down the coast to Da Nang and situated right on the beach you'll find Cua Bien Quan with the perfect sea view to enjoy as you devour some fresh oysters and clams. Last stop on your Asian seafood adventure is Ho Chi Minh City. There's a great street food vibe in this city with District 4 boasting hundreds of different stalls where you can be sure that something will take your fancy. 1. La Verticale - Vietnamese foods infused with western influences. 2. Home Hanoi Restaurant - A fusion of old-world splendour and cutting edge sophistication. 3. Cua Bien Quán - The perfect sea view to enjoy as you devour some fresh oysters and clams. 4. Nhà hàng Bé Man - The seafood fried rice here is a must-try. 5. White Rose Restaurant - Local food with an American twist, try the “Hoi An Pizza” Fried Wontons with Seafood. 6. District 4 - Hundreds of stalls of street food - walk down seafood street for some freshly caught delights. 7. Maria Saigon Seafood Restaurant - The seafood spring rolls and Ngoc Suong fresh fish salad with peanut sauce.